Rockville City Councilmember Mark Pierzchala wants the Mayor and Council to discuss and clarify the relationship between that body and the Rockville Sister Cities. It is unclear what the full purpose of the proposed discussion is, but Pierzchala mentioned that he would like to know what input the Mayor and Council have in terminating Rockville's relationship with a sister city, and the establishment of new ties with a different one. "It's very unclear in my mind when the Mayor and Council should be chiming in," Pierzchala said at Monday night's Mayor and Council meeting. 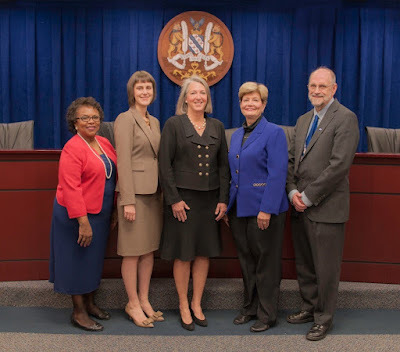 He said he wants to "define the relationship" between the Rockville Sister City Corporation and the Mayor & Council, and explore the evolution of that relationship and their respective roles over the last 30 years. The Rockville Sister City Corporation, as it is officially known, was founded as a non-profit in 1987. Rockville's current sister cities are Pinneberg, Germany and Jiaxing, China. A discussion item has tentatively been added to the next meeting's agenda. That agenda had not been posted on the City website as of this writing.